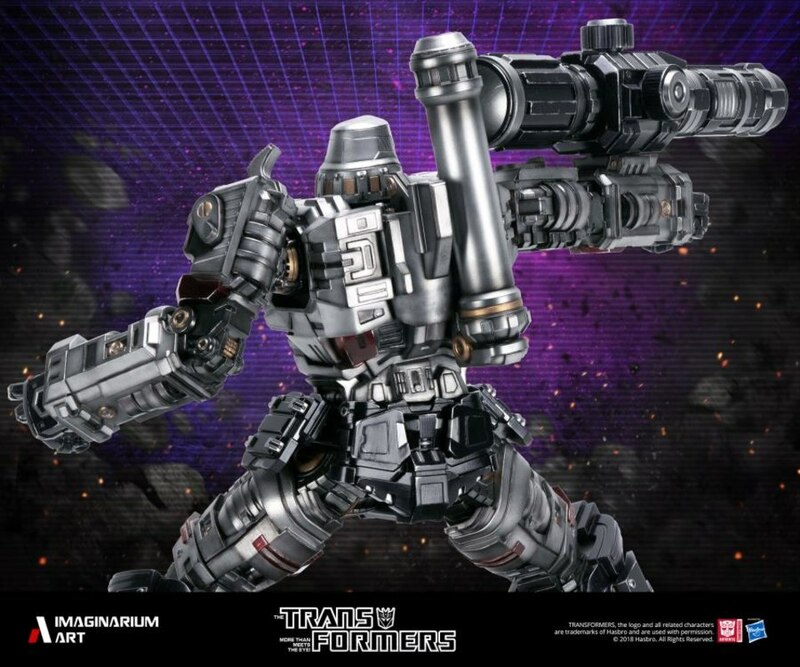 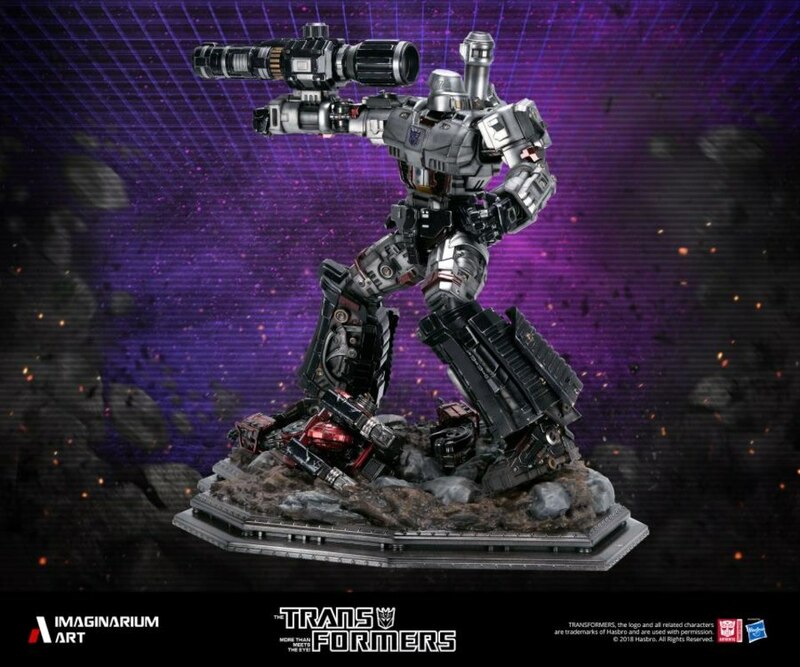 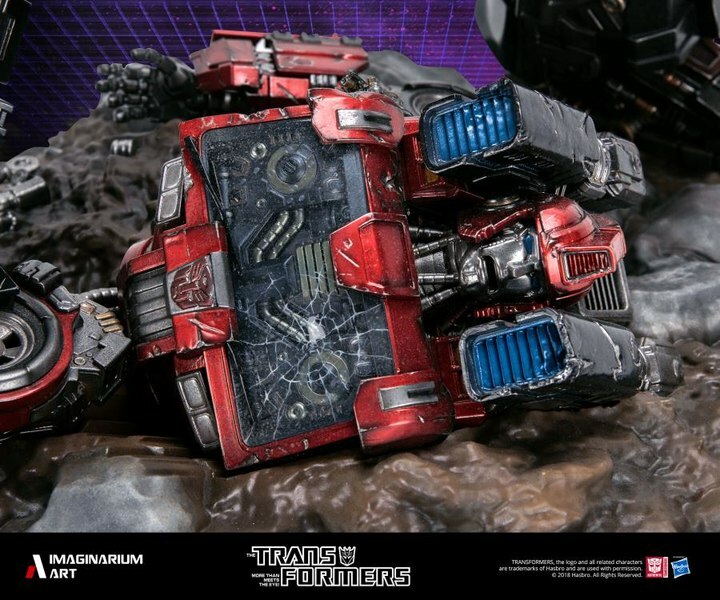 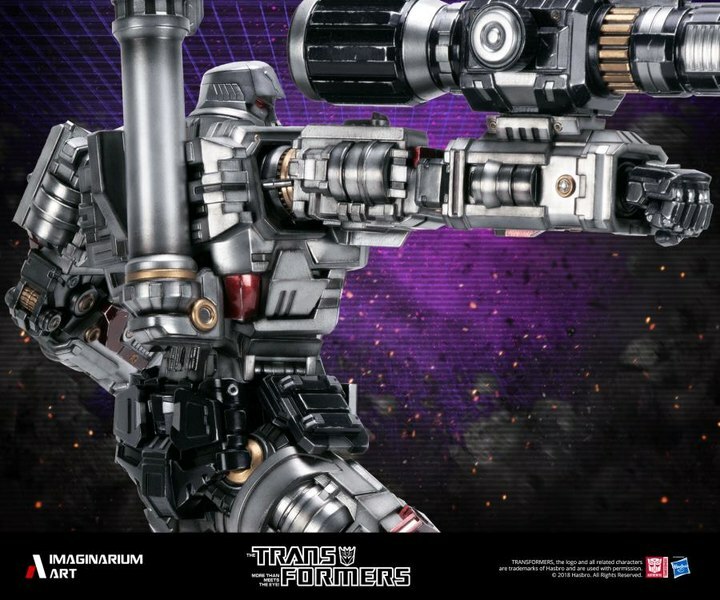 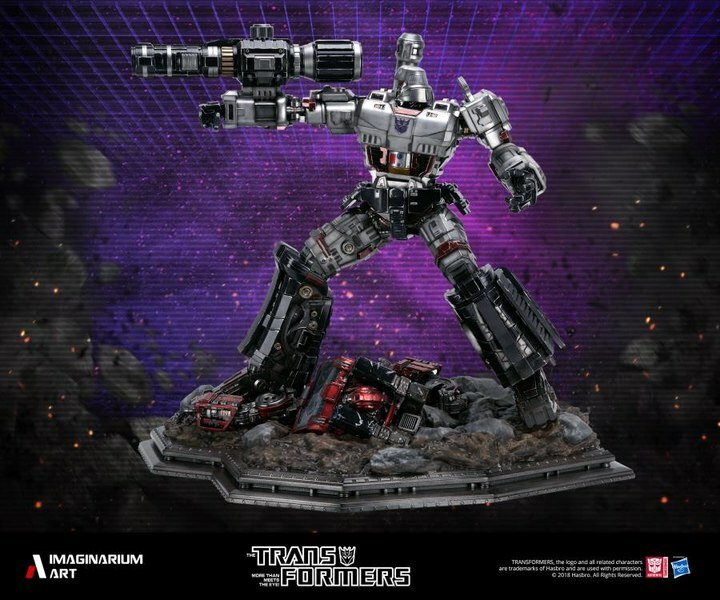 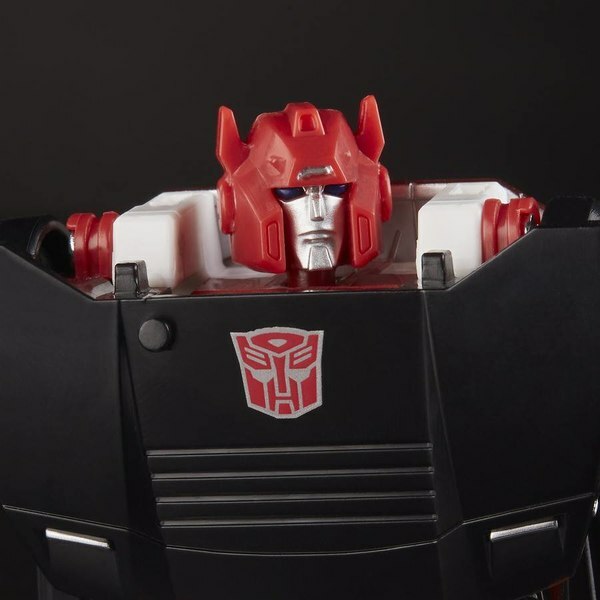 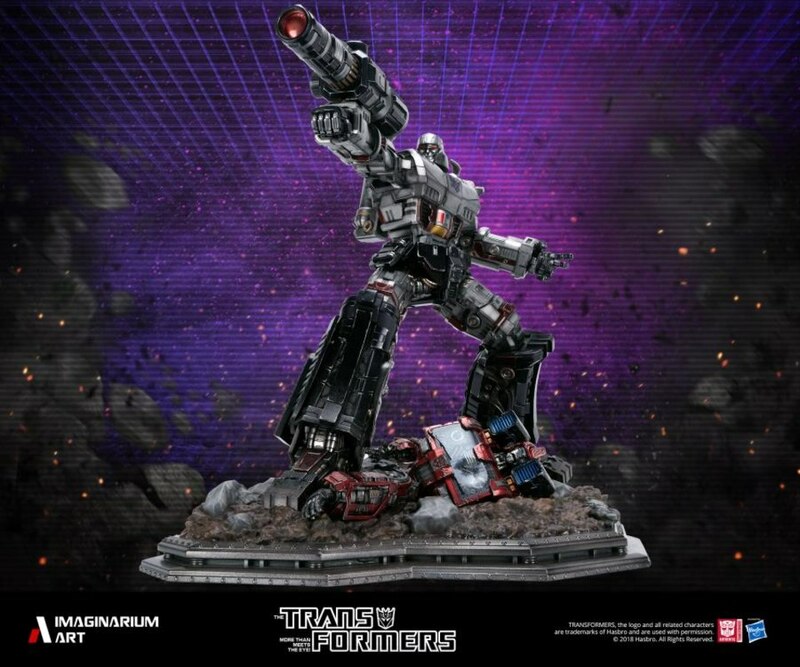 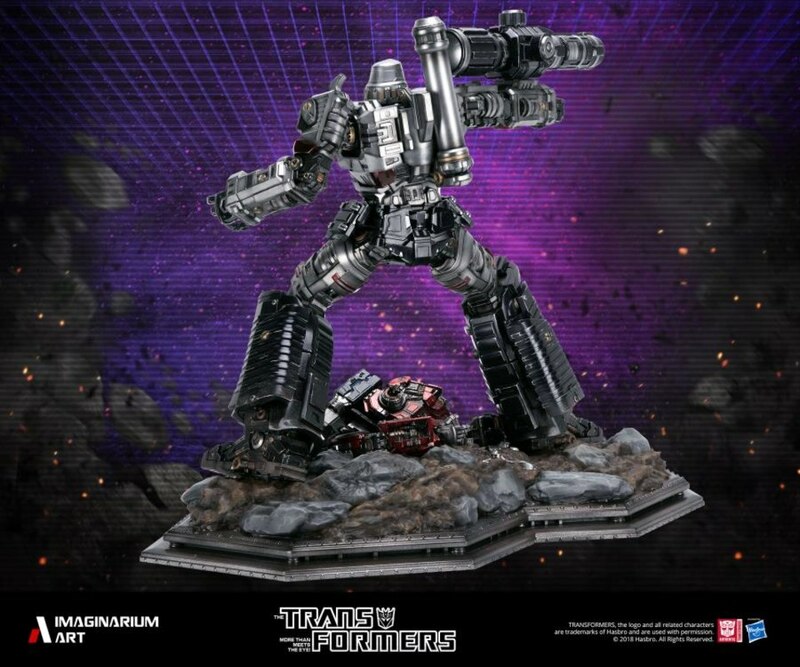 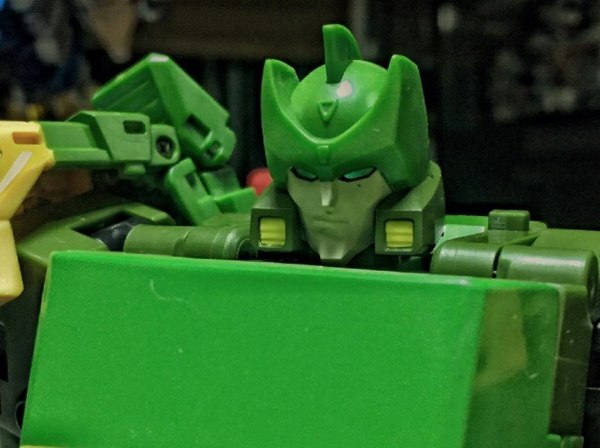 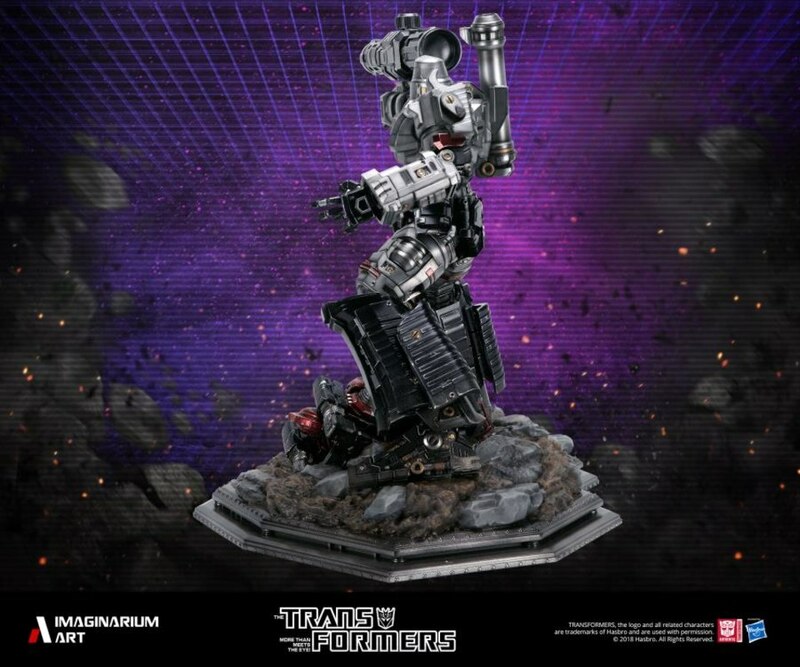 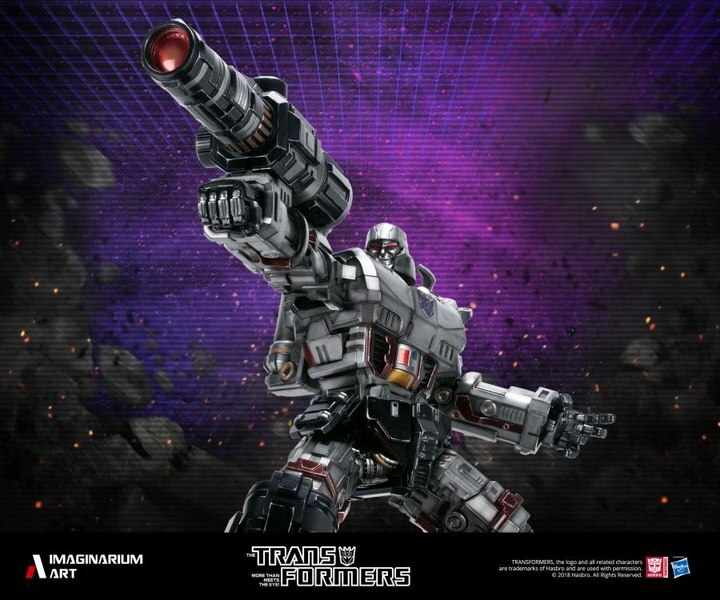 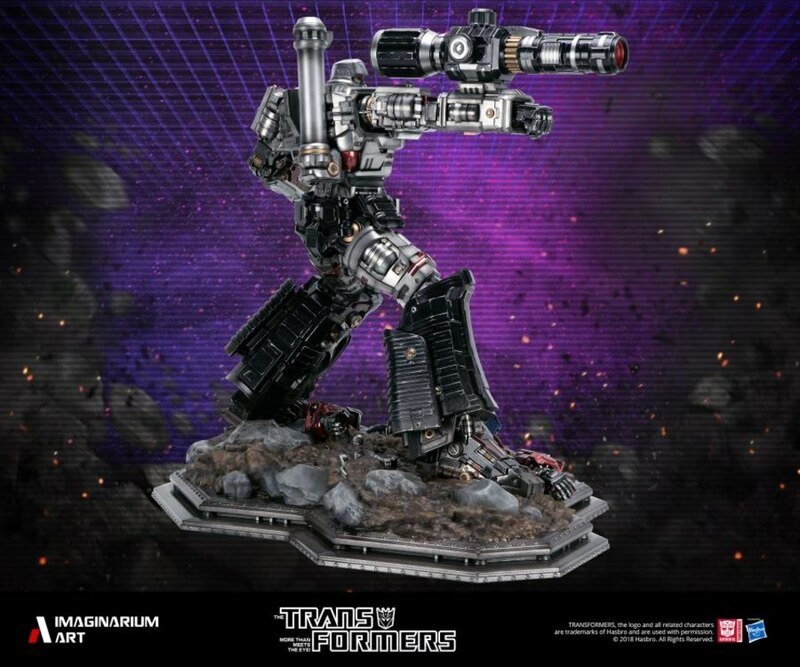 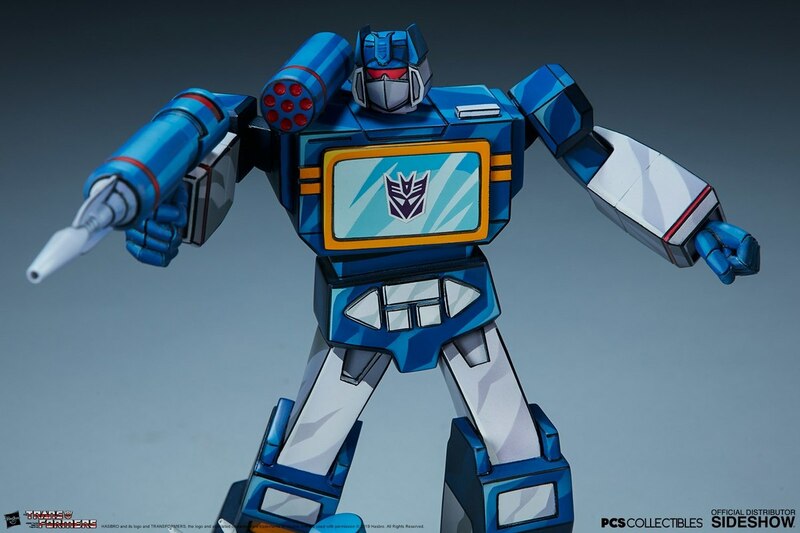 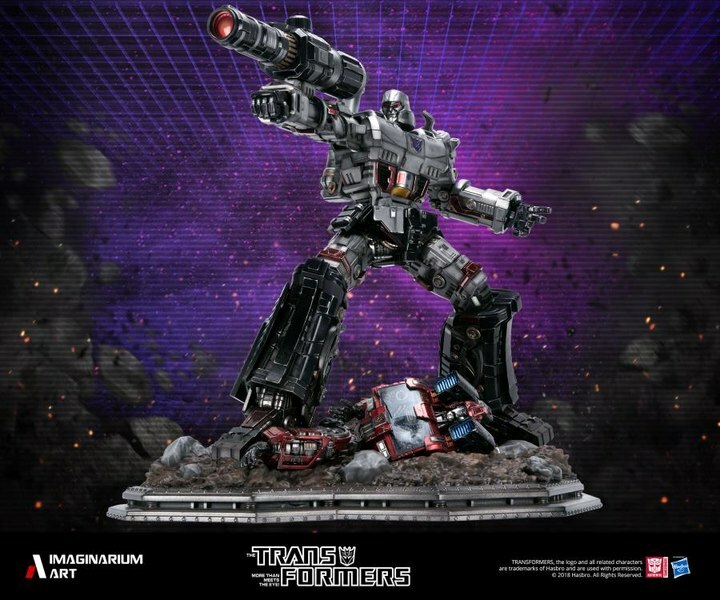 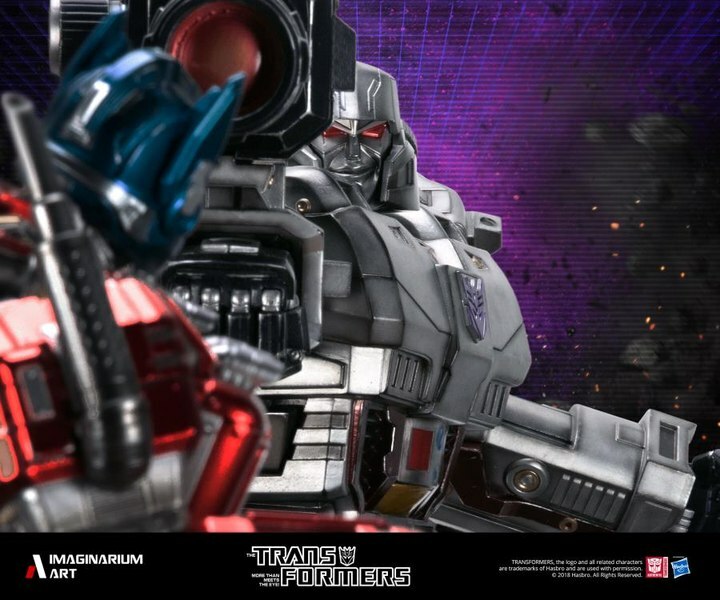 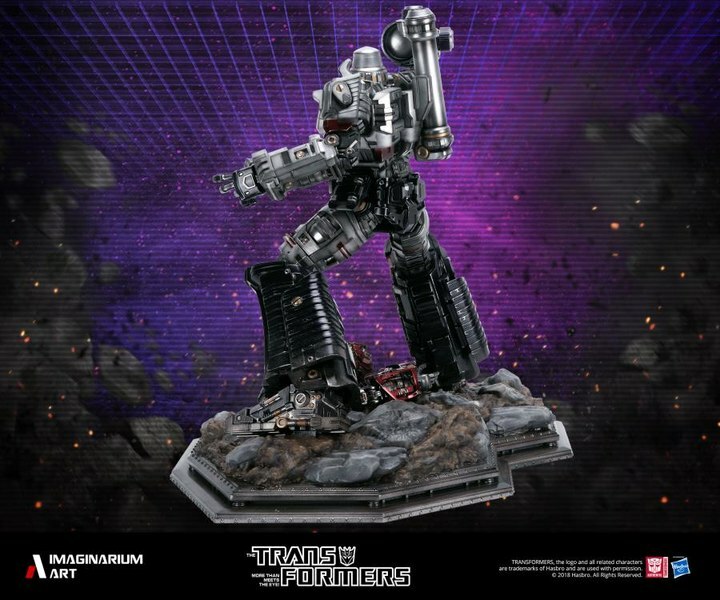 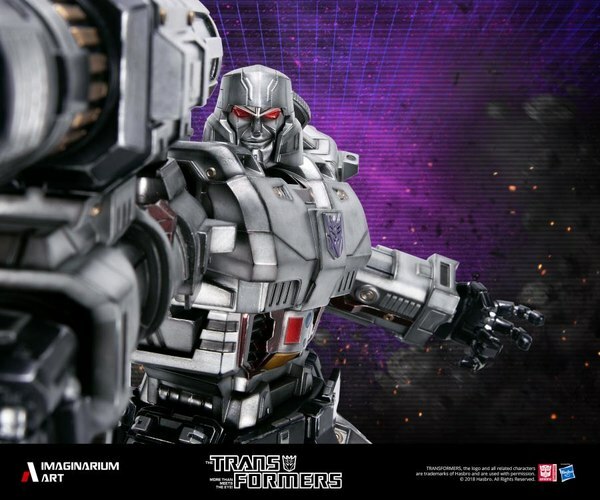 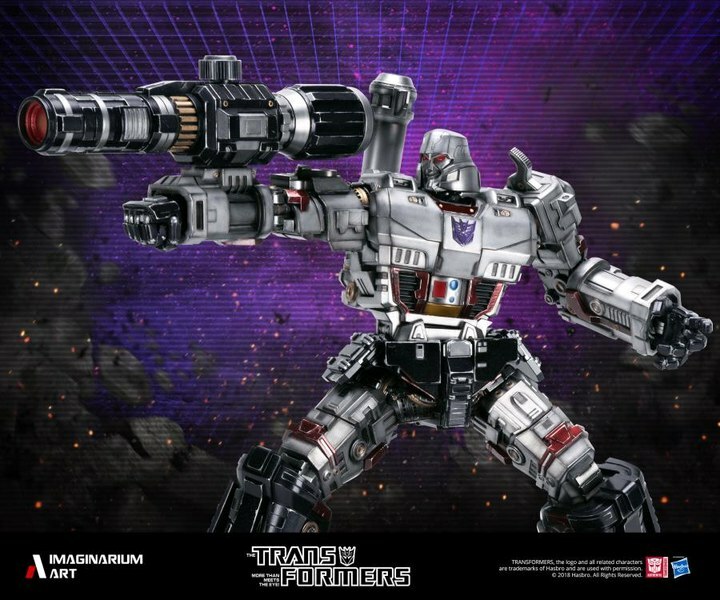 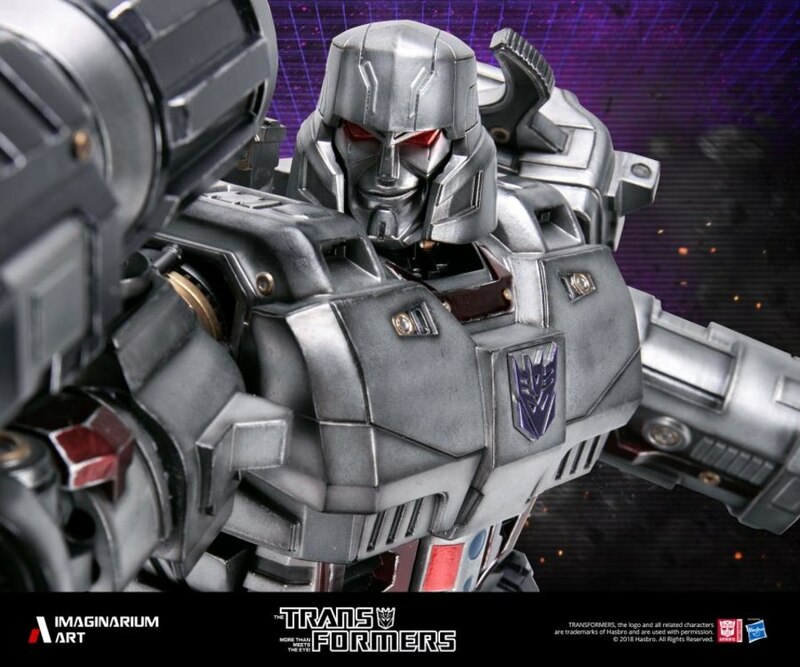 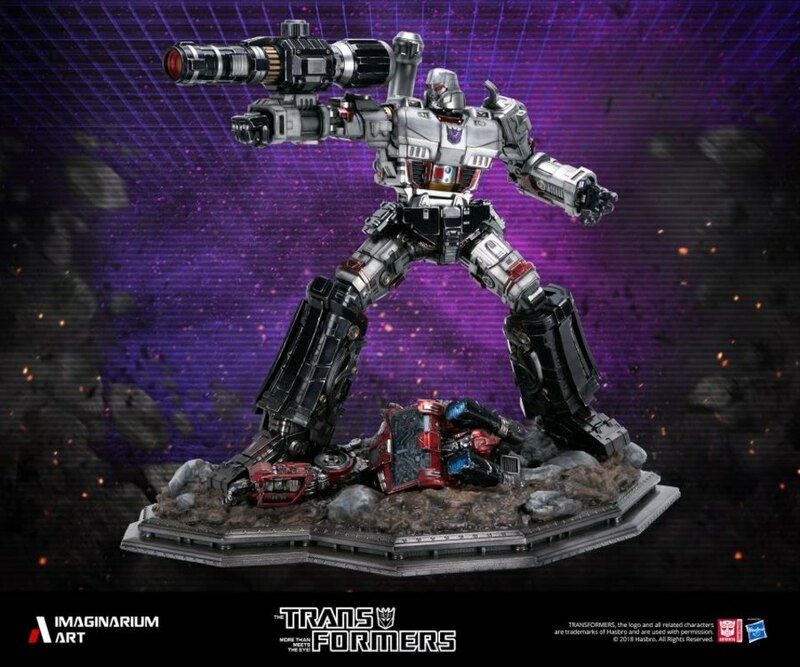 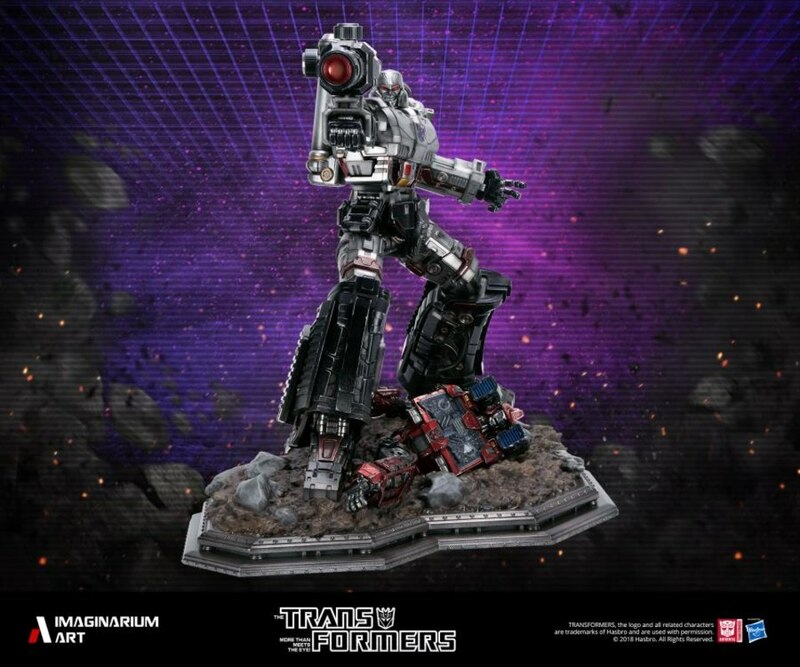 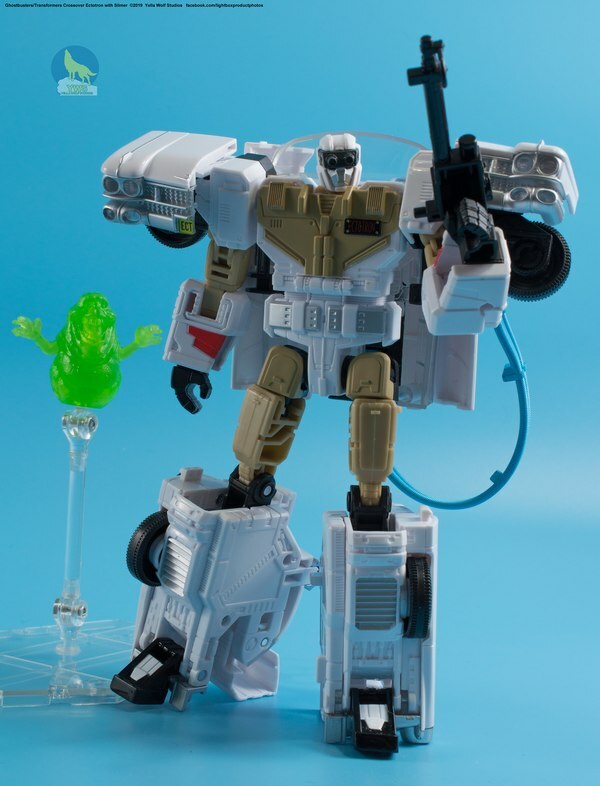 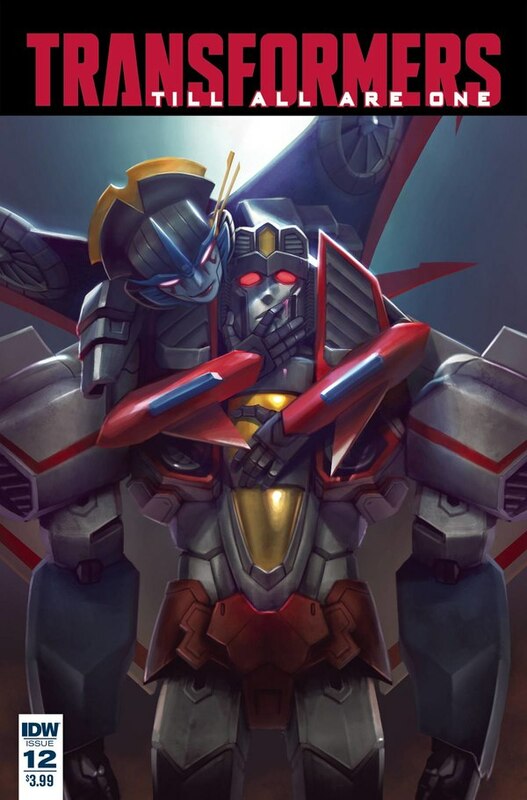 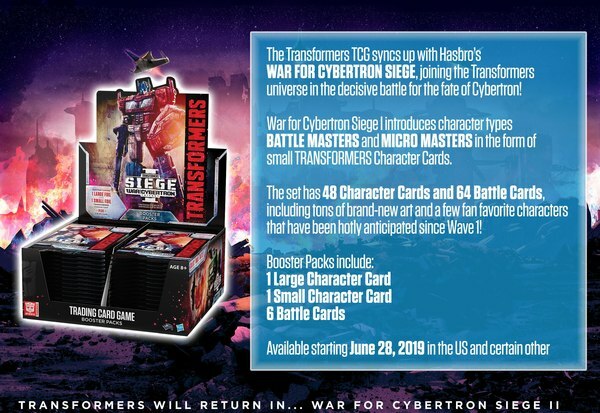 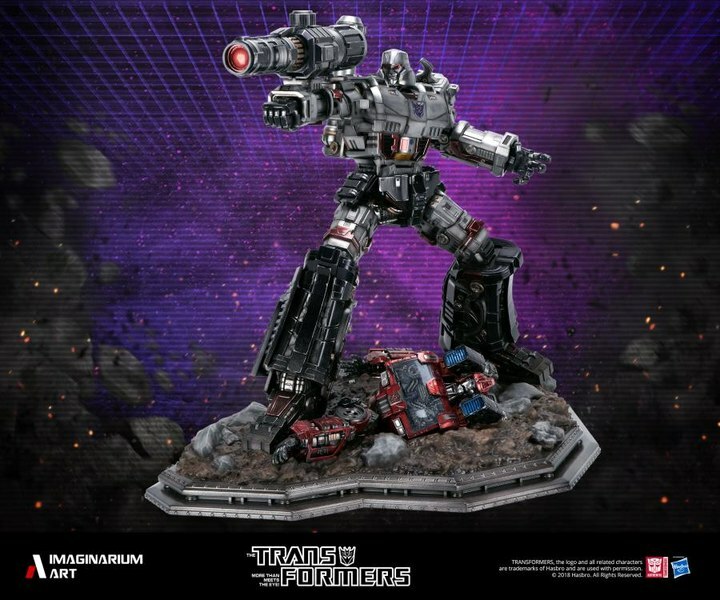 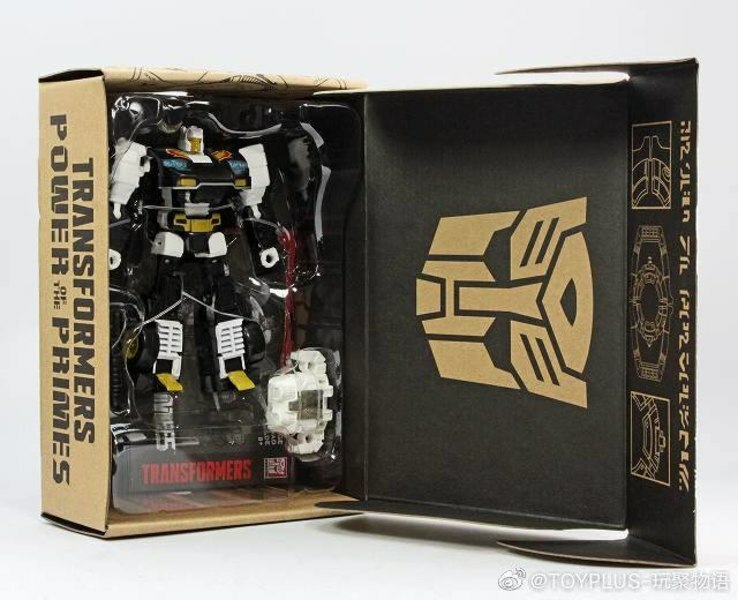 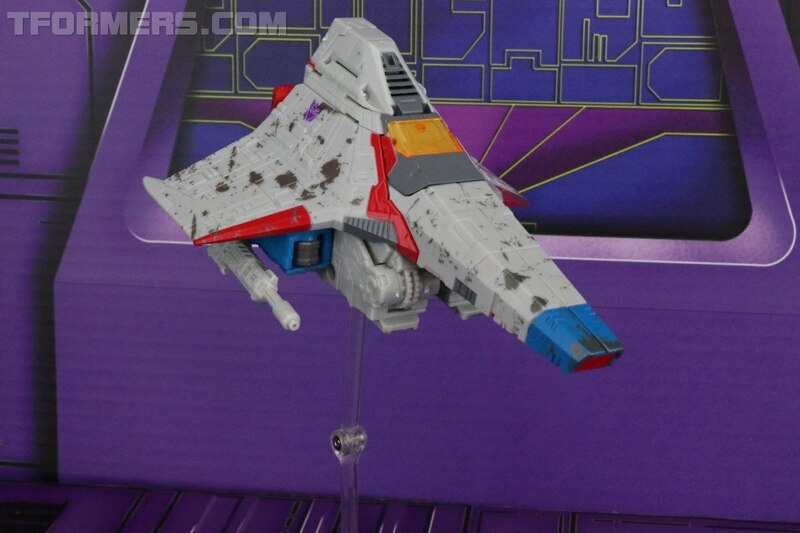 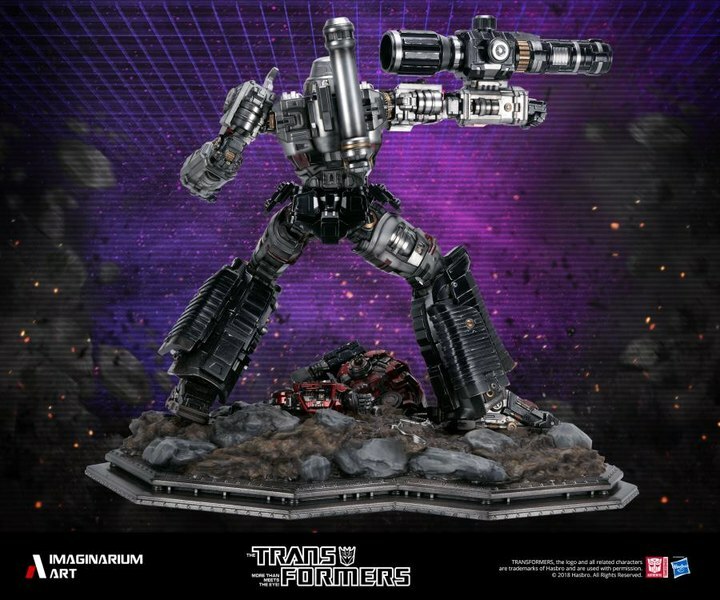 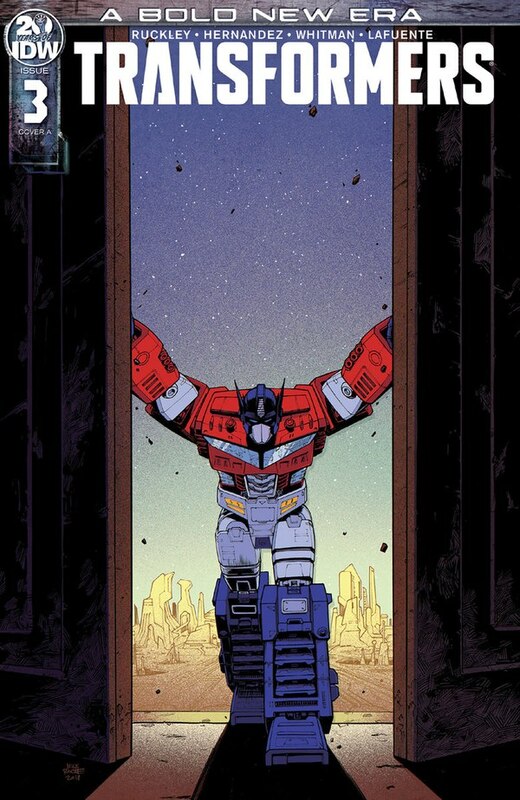 It took a while, but the people at Imaginarium Art have finally released their amazing Transformers G1 Megatron statue that we first saw as a prototype last August. 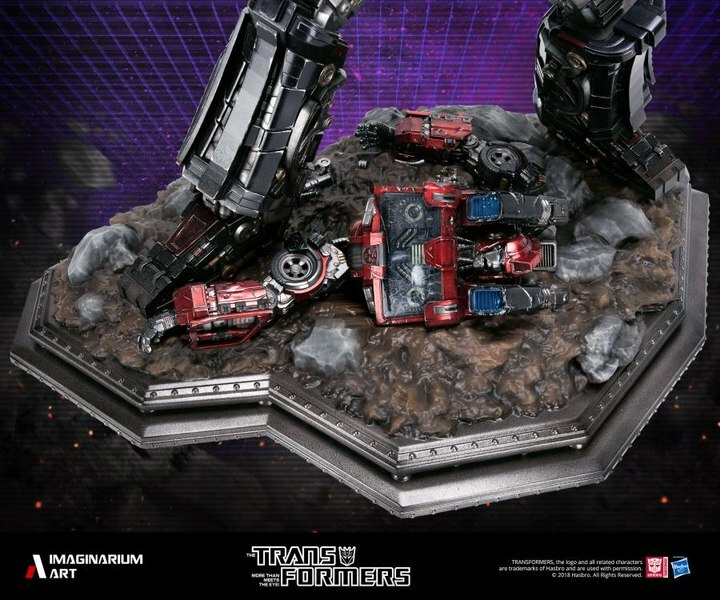 The images of the painted figure makes this statue all the more terrific complete with the scrapped remains of poor ol' Ironihide. 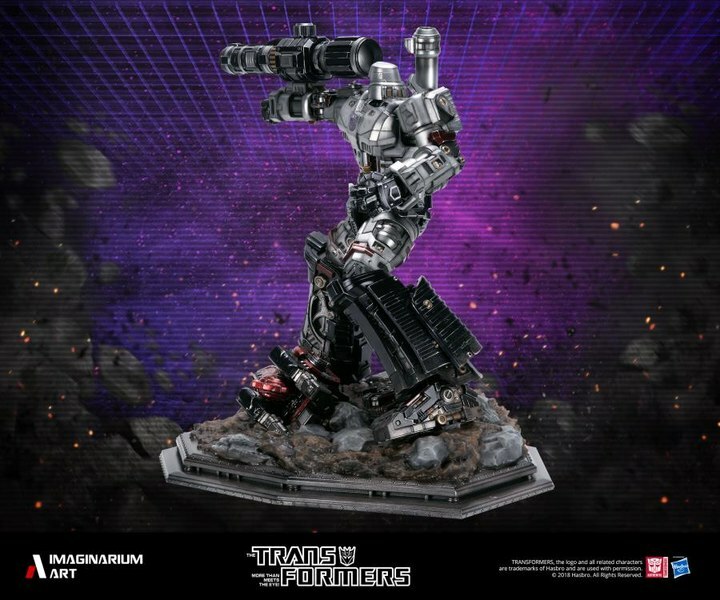 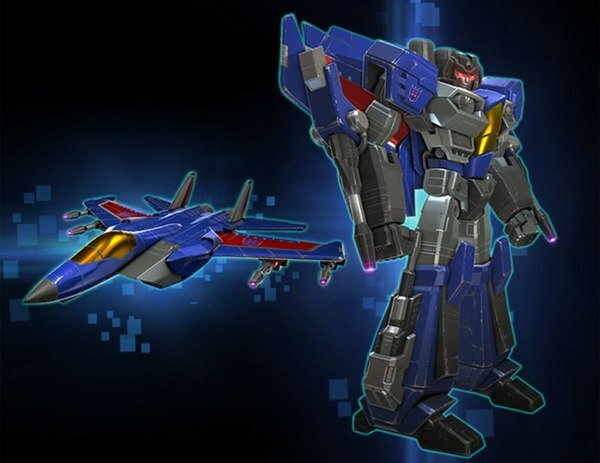 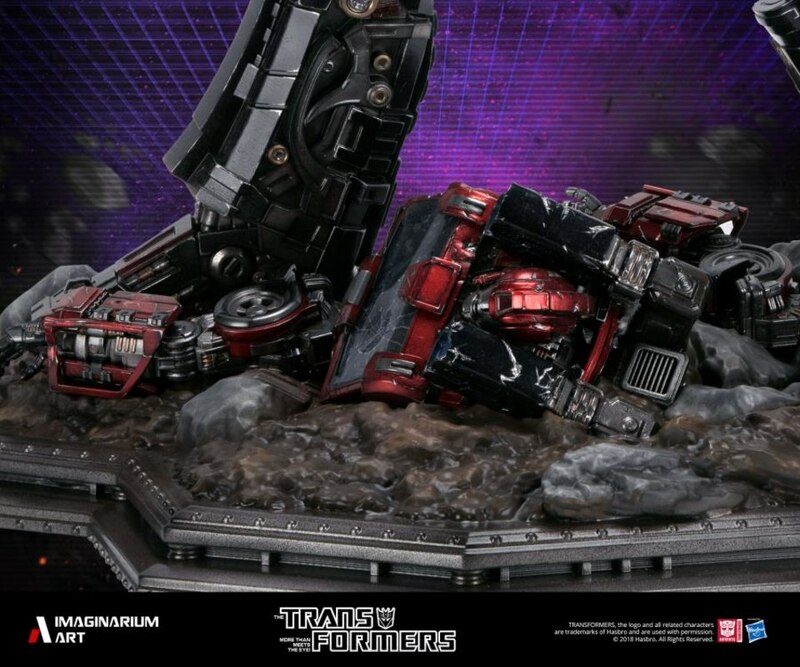 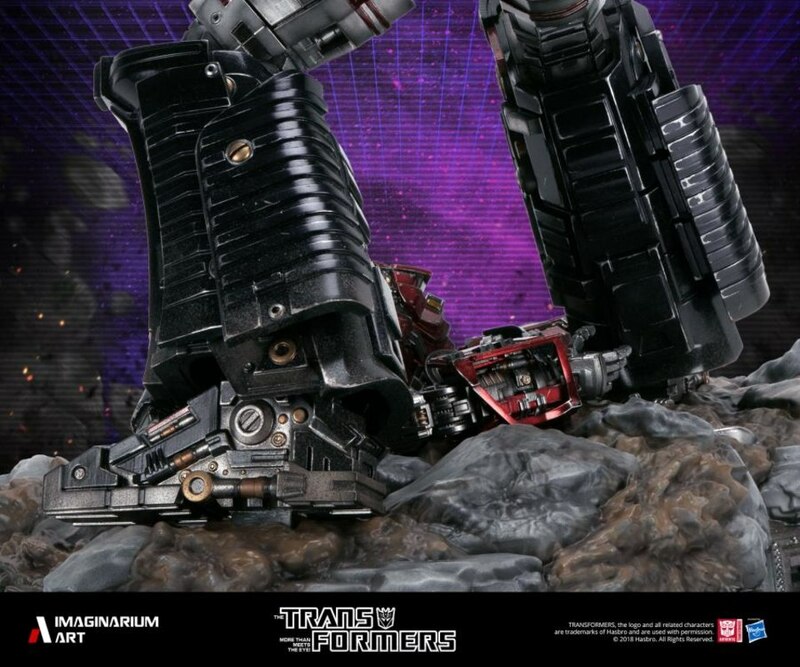 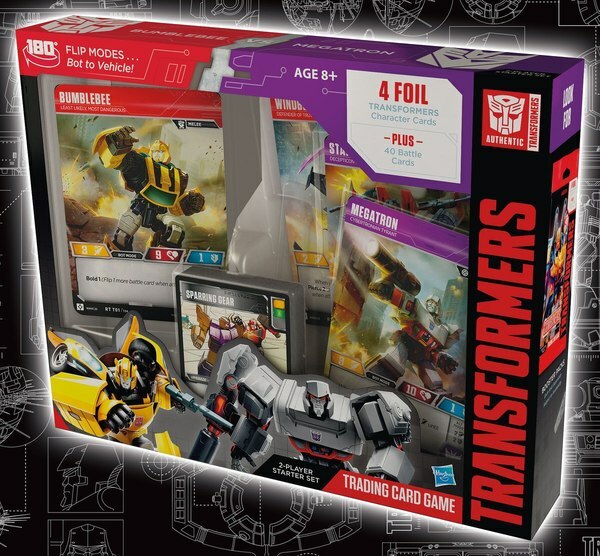 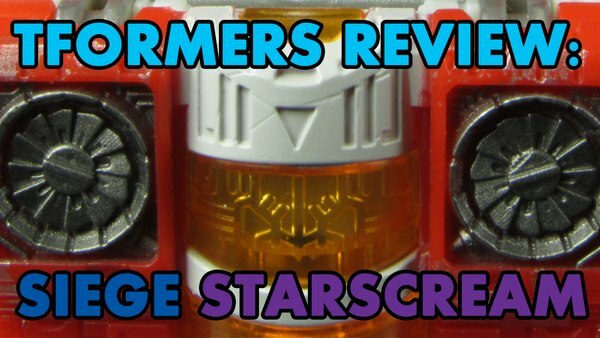 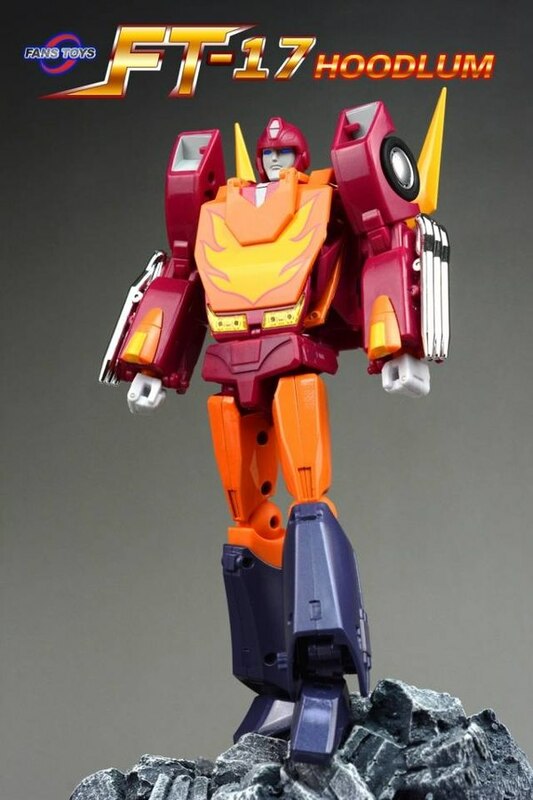 The Transformers Generation 1 Megatron statue stands over 25 inches tall and features the Decepticon leader standing upon wreckage of Autobot Ironhide. 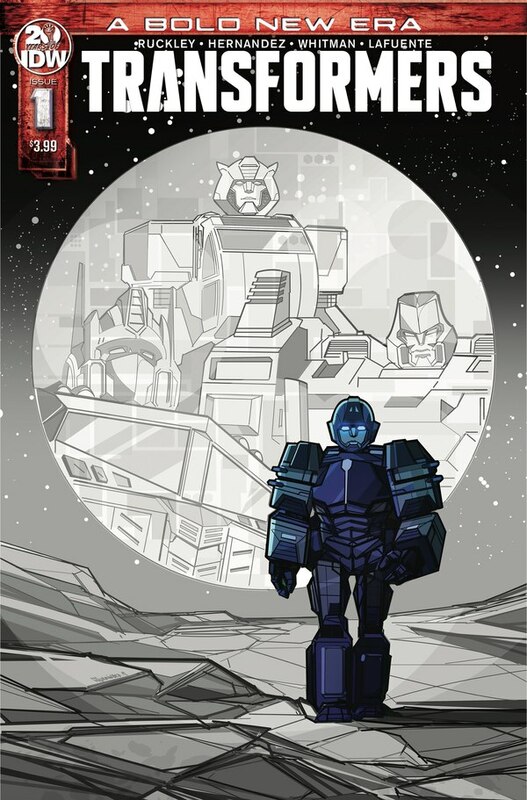 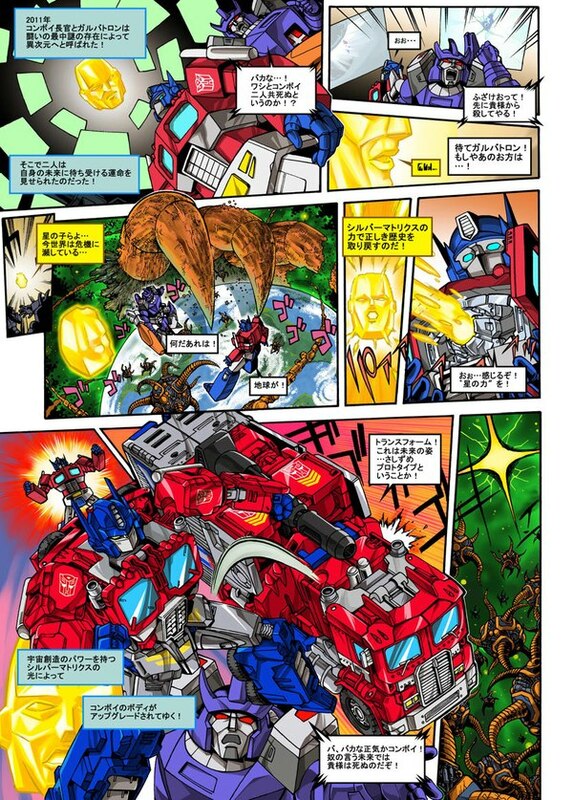 Megatron is armed with his arm cannon that features LED lighting.